After being taken over by Ashley Morris, CEO, and Jason Smylie, CMO/CIO in 2006, the company has expanded into 16 states. 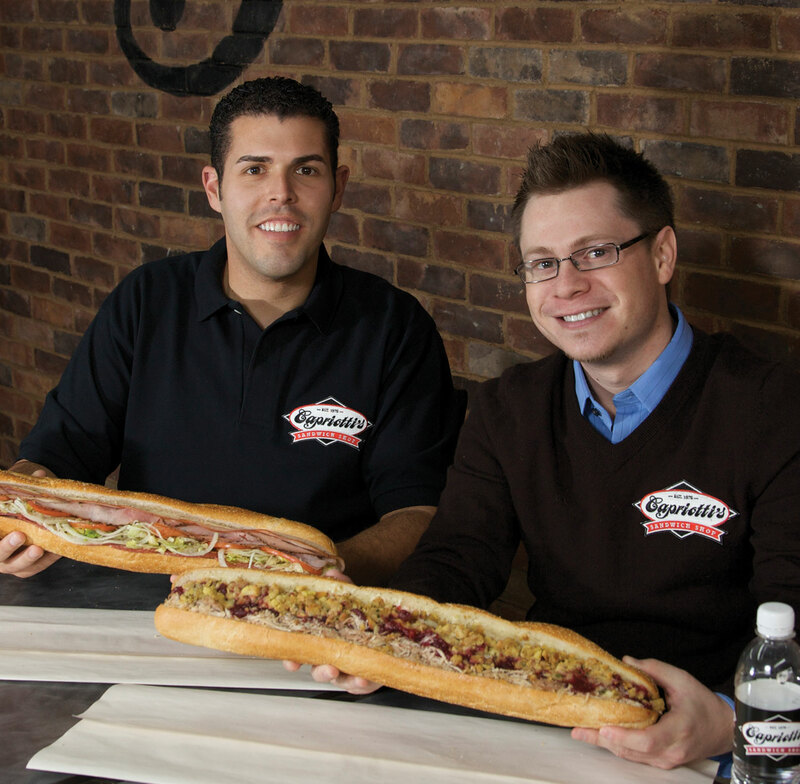 In this exclusive interview, we sit down with the two owners of Capriotti’s to learn about their journey and how they grew the franchise to over 100 locations in just ten years. The two of you started out as fans of Capriotti's during your time at the University of Nevada. What made you decide to go one step further and become a franchisee? Ashley: Well, we fell in love with the food in college. We started eating it as frequently as possible – almost every day. In fact, we broke a lease in one of our apartments to move closer to a Capriotti’s, which actually wound up moving us farther away from school. As we moved into our respective careers, that didn’t really change. We were still raving fans of the food. Jason and I had always wanted to be in business together in some capacity. It was always a goal of ours to do that. When we started our careers we were young and neither one of us were married or had kids. It was a good time for us to diversify and say “hey, if we’re going to do anything, this is the best time to do it.” Worst case, if it didn’t work we could rebuild and it wouldn’t be too big of a burden for us. So in 2004, we got together and decided what business we wanted to be in. It took us about 2 minutes to realize we had to get involved in Capriotti’s. You then went on to become the owners of the company. How did that happen? Ashley: When we became franchisees in 2004, we were told that we had no further ability to build new stores because Las Vegas was saturated. But as we were building our first store, another store close by was put up for sale. We decided to buy it because our feeling was that if we can’t build anymore and we want to grow, the only way to do that would be through acquisition. We went from zero to two very quickly. At two stores, it took us about six months to learn the business financially and make the right money from the restaurants. It started to make a lot of sense to us and we began looking for more locations. Even though the owners didn’t want us to build anymore, we didn’t really take no for an answer. We eventually decided we could build a third location that would only potentially cannibalize the first two stores we had. After convincing the owner to let us build it in 2006, the store opened up stronger in sales than the other two and didn’t wind up cannibalizing our other stores at all. We quickly realized that this was the business we wanted to be in. We were all in. We were committed to it, we were passionate about it, and I was sitting at my job everyday thinking about Capriotti’s. I was a portfolio manager, a financial consultant, and I would be building economic models for Capriotti’s during the day. What I thought was my passion really wasn’t – Capriotti’s was my true passion. You said that the previous owners felt like the market was saturated. What made you believe that there was more opportunity there? Ashley: We had a different point of view. Our point of view came less from gut feel, something the original founder was very big on. We’d rather take our emotion out of it, gather information, and have real data behind our decision making. When we looked at the relationship between existing store proximity in the market and the growth of the area, it made sense that we could build a significant amount of stores in this market without any risk of cannibalization. Secondly, we knew we had a non-traditional opportunity here in Vegas with how many hotels, airports and colleges there are. The original founders didn’t agree or see this as an opportunity. What was your vision for Capriotti's when you first took over? Ashley: 500 profitable restaurants. We wanted to take the brand from a regional brand to a national franchise company that had 500 profitable restaurants. That remains our vision today. What do you think has been the key to your success growing Capriotti's from a family business to over 100 locations? One of the first people we brought in was Patrick Wallace, who was our Chief Operating Officer, and most recently our president. Though he has since left, Patrick was instrumental in building an organization that had all the departments of a large national franchise company. Had we not done that, I feel like we would have been in a very different position today. I would definitely attribute the people that we brought into our organization as a critical component of our success. Another piece was our ability to raise capital. It gave us the freedom and opportunity to invest capital into the business. We were able to put infrastructure in place and make system improvements. Improvements like sophisticated real estate site models and other large expenses that we would need to prepare for large growth. Our investors believed in us. They believed in our brand, our vision, and our plan to reach that vision. Had we been undercapitalized we would not have been able to come as far as we have. Jason: And then on top of that, we’ve remembered what’s made the brand successful over the last 40 years and that’s the quality of the product. What makes Capriotti’s special first and foremost is the amazing quality of the sandwiches. What got us passionate about the brand remains true today for all of our customers and franchisees. Part of your core business is selecting where to build a new store. From a high level, what goes into that process? Ashley: One of the benefits of our brand when we took over was that it was a regional brand that covered both coasts. So, the founders did some of the hard work for us by proving the model on both sides of the country and creating the distribution channels to support the stores. That base has allowed us to grow and fill in the middle of the country without having to worry much about logistics. Our main concern is finding franchisees that fit the mold for us from a value standpoint, to a culture standpoint, to business acumen and past restaurant experience. If we find that person we then we figure out where we want to build. We try to avoid the super big urban markets. Instead, we tend to gravitate towards what I would call second-tier markets between 500,000 and two million people. We choose those areas because we really like those markets for our brand. If we find that, then the next step is to go in and selecting individual real estate in those areas. 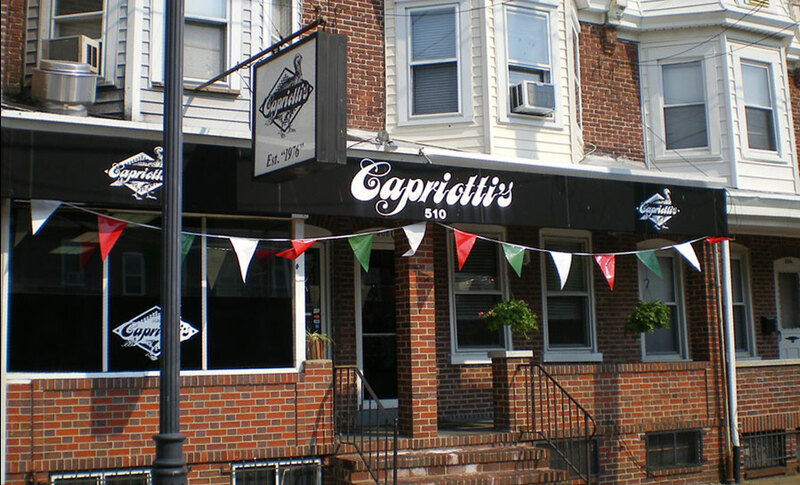 What makes that specific type of market a great fit for Capriotti's? Ashley: First, the cost of real estate is going to be far less than those big urban markets. Second, you can actually get a foothold into the market with as few as five stores. If you’re in a market of only a million people, you open five stores and you’re a significant player in the market. That helps us significantly from a name recognition and trial standpoint. Third, advertising costs tend to be much more affordable compared to major urban markets. In a major city like New York or LA, you might find that a billboard costs you $12,000 a month. For the same price in a medium-sized market you might be able to get 30 billboards. Finally, the competition is less in those markets. While we don’t necessarily worry about the competition – it’s always nice to have less people in your market that sell the same product as you. One last question: What is your vision for the company over the next five years? Ashley: To grow the company significantly. We’ve put in place the infrastructure, the people and all the facets of the business that we need. Now it’s time to grow. The next big investment we’re going to make is in our development arm. 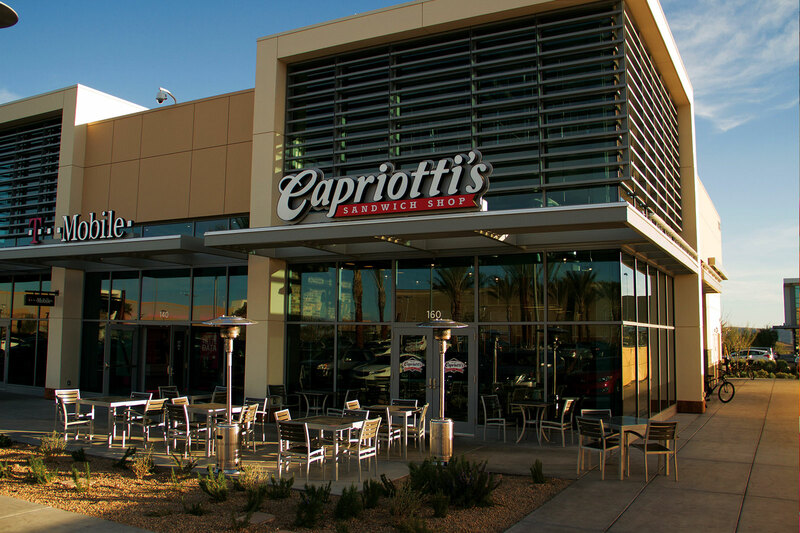 Our focus for the next few years will be to significantly grow new restaurants for Capriotti’s across the country. If I was a betting person I would say that in five years from now we should be north of 350 restaurants. Capriotti’s Sandwich Company is an award-winning specialty sandwich retailer with more than 100 company-owned and franchised restaurants in 16 states across the U.S. The company’s headquarters are in Las Vegas, Nevada. Connect with them at www.capriottis.com or @Capriottis.